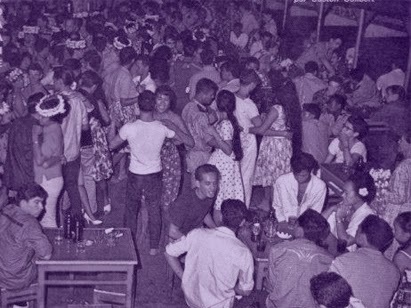 Ladies & gentlemen, it's our last day in Tahiti and like in the previous posts we'll get some 60's Tamouré. 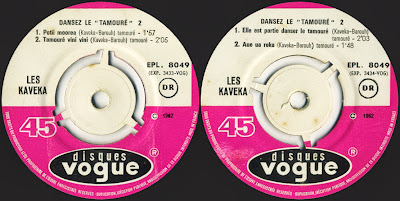 If the last week we got some exemples of the influences of occidental music to the local songs this time the influences are tahitian and their music starts to invade Europe with LES KAVEKA - DANSEZ LE TAMOURE (Disques Vogue EPL.8049 from 1962). 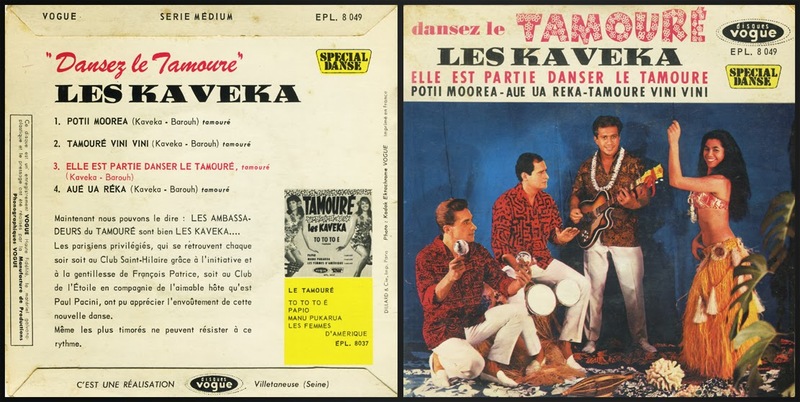 The Ep we get today is the perfect exemple of the influences going on both side as we get some tahitian tunes played by a parisian/tahitian band. in the 60's this kind of music was all the rage in Europe and you can find (horrible) covers of the genre in many exotic countries such as Poland, Germany... (even in local language). 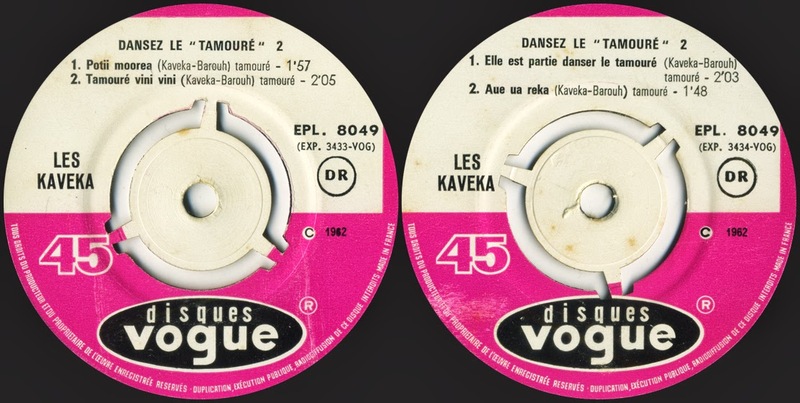 Les Kaveka released a bunch of Ep's and set the parisian nights on fire with some furious Tamouré. 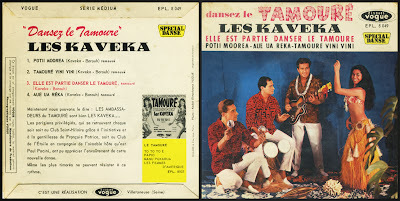 Not the most authentical music we ever get here but a good exemple of the spreading of the polynesian culture, 4 tracks, 3 in tahitian and 1 in french mixing influences from rock & roll and french yéyé to tahitian modern folk songs, quite enjoyable! get ready for another trip!!! Merci beaucoup beaucoup pour cette super série sur le tamouré! C'est ma passion! 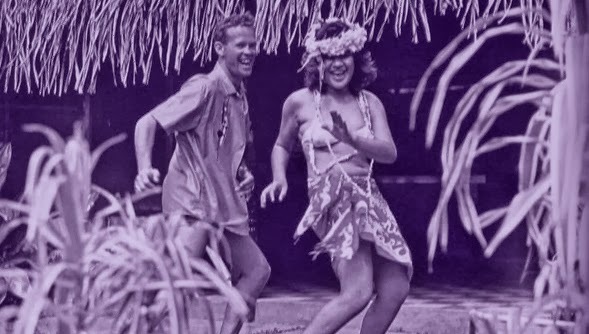 When I was 12 years old, I fell completely in love with a Tahitian woman in her mid 30s, and though it sounds completely crazy, she reciprocated and I ended up having the most memorable summer of my entire life, in which I was introduced to both the music and dance of Tahiti. Man, could she dance. 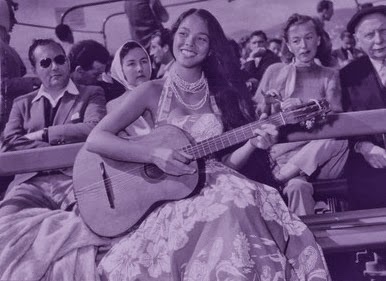 I've never been to Tahiti, though I think of it often, and how the woman I remember so well is probably long dead from old age. Thank you for this offering. It's made me very happy.